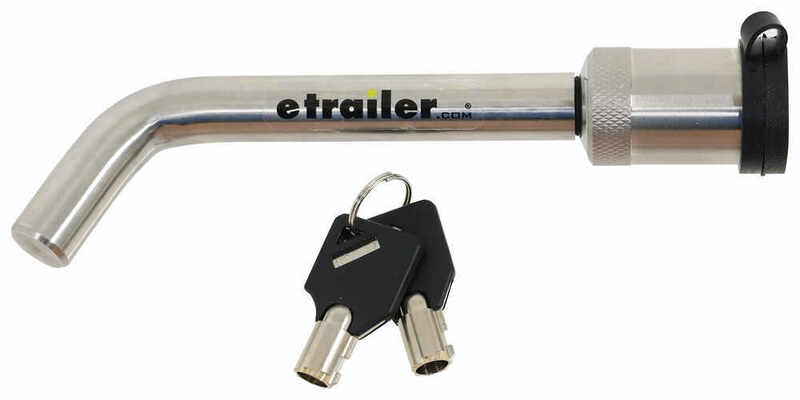 Call 800-298-8924 to order Weigh Safe hitch locks part number WS05 or order online at etrailer.com. Free expert support on all Weigh Safe products. Guaranteed Lowest Price and Fastest Shipping for Weigh Safe Hitch Receiver Lock for 2", 2-1/2", and 3" Hitches - 3-1/2" Span. Hitch Locks reviews from real customers. Speaker 1: Today we're gonna take a look at the Weigh Safe stainless steel hitch receiver lock for two inch, two-and-a-half inch and three inch hitches. This is a bent pin hitch lock design. You would use this in place of your standard pinning clip on your hitch receiver. This lock will prevent somebody from taking your ball mount or your hitch accessory like a bike raft or cargo carrier. It is a stainless steel pin and lock construction. Does use a high strength ball interlock design to lock it. If you notice on the end here it has a covered key slot with the rubber cap to prevent rust and corrosion.It is a two key lock cylinder, which'll provide better security than the standard key mechanisms; makes it harder to pick and more difficult to duplicate keys. It is a very easy-to-use design, requires only a quarter turn of the key to lock or unlock it so you just out your key in here, turn it a quarter of a turn. It unlocks it just like that and then, to install it, just turn it right back and it locks it right into place.The specs again on this: the application is for two inch by two inch hitch receivers, two-and-a-half inch by two-and-a-half inch and three inch by three inch trailer hitches. This pin diameter on this is five eighths of an inch. The overall length, which will measure from here to the very end, is gonna be right at seven inches long. The inside span, which would be the usable length is gonna be right about three-and-a-half inches and, again, it includes the two two keys so what I'm gonna show you now is I'm gonna to happen to have a hitch receiver, two inch by two inch hitch receiver and you can see it has a ball mount in it with the standard pin and clip so, if somebody wanted that, they could just pull the pin and clip to remove it so what I'm gonna show you is you just remove your standard pin and clip, open up your cap, go ahead and put your key in and just turn it a quarter of a turn. It'll unlock it and then slide your pin through all the way. Once you get it on, slide that on, turn it the quarter of a turn. That locks it into place. Put your cap back into place and you're all locked in.Nobody can remove your ball mount or accessory and then, to remove it, just pop it open, put your key in there, turn it a quarter of a turn. It'll slide right off just like that. Very simple install and removal but that should do it for the review on the Weigh Safe stainless steel hitch received lock for two inch, two-and-a-half inch and three inch hitches. The dust cover on the lock quickly dry toys and crumbles after leaving your hands black, the keys are flimsy had to order replacements very quickly, I quit using this after about 6 months. Can’t take stars away it looks like. After a year the lock pin has performed as expected. I would highly recommend if you have a high dollar 3” hitch that you want to keep attached to your truck. 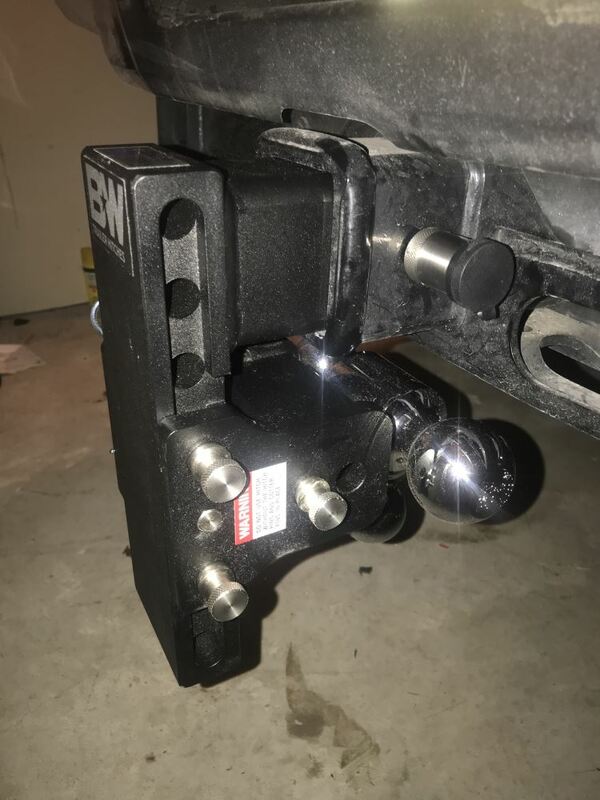 I reached out to my contact at Bolt and they don't have any 3 inch hitch receiver pins available yet, but they are working on it. For a lock that is available for your 3 inch receiver on your 2017 Ford F-250, I recommend the Weigh Safe Hitch Receiver Lock for 2", 2-1/2", and 3" Hitches - 3-1/2" Span # WS05. It actually does not have a weight capacity. Reason being hitch pins don't typically bear any of the weight of the trailer since the tongue weight of the trailer presses so hard down on the ball mount it pins it to the hitch tube. I am actually really surprised your pin lock was bent. Your old lock must have been defective for it to break under normal use. Is There A 3 Inch Hitch Receiver To 2 Inch Receiver Sleeve Reducer Available? Absolutely. For your 3 inch receiver, I recommend the Reese Super Titan Receiver Adapter - 3" to 2" Reducer Sleeve # 38735. This will allow you to use your Tow Bar without issue. 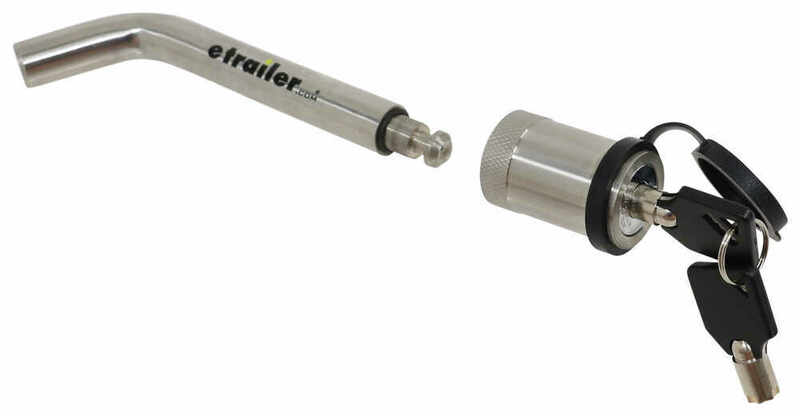 You may need the Super Titan Trailer Hitch Pin and Clip for 3" Receivers # 58388, this is a 3/4 inch diameter pin. 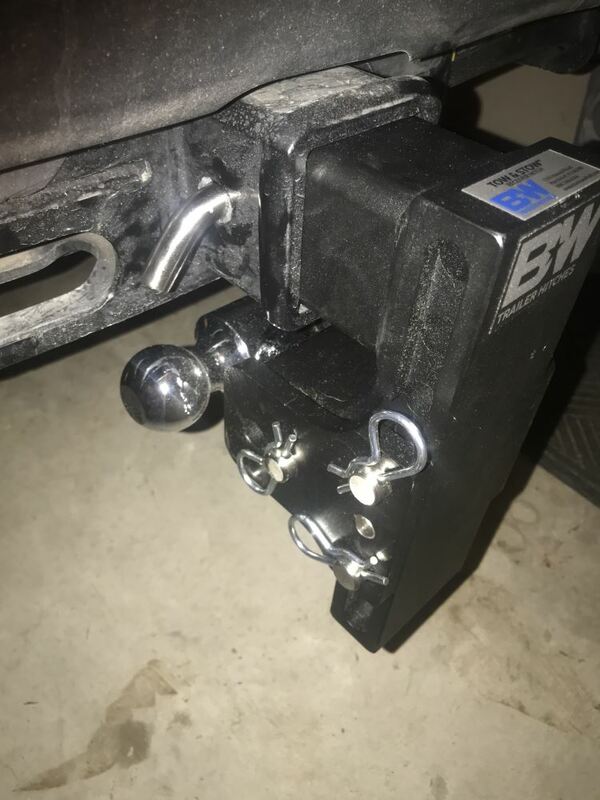 If you want a locking pin to secure your adapter, I recommend the Weigh Safe Hitch Receiver Lock for 2", 2-1/2", and 3" Hitches - 3-1/2" Span # WS05. 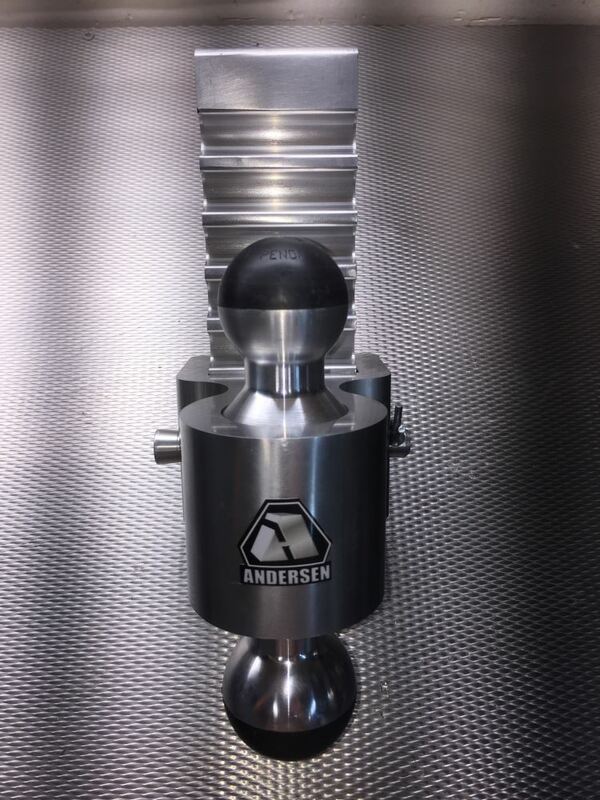 The hitch pins/locks are sold separately for the Weigh Safe Adjustable Ball Mount # WS10-3. 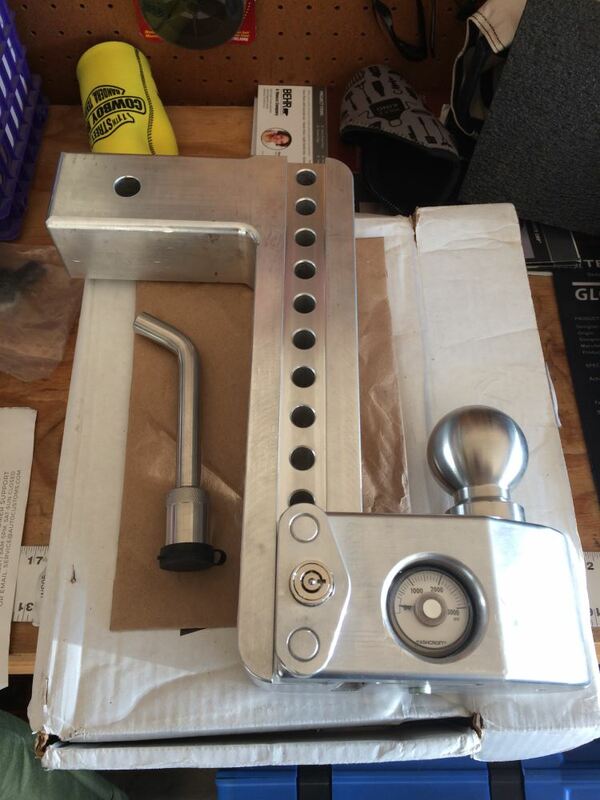 We have the lock part # WS05 which will work great with this ball mount or for a hitch pin we have the # RM-910034. The Weigh Safe Hitch Receiver Lock # WS05 is made of stainless steel. The pin will not corrode or rust when installed in your 2017 Ford F350 receiver hitch. What Hitch Ball Does Curt 3" Ball Mount Use and How Much Does Ball Mount Weigh? For a hitch lock to fit a 3 inch trailer hitch like what you have you would want the Weigh Safe Hitch lock part # WS05. 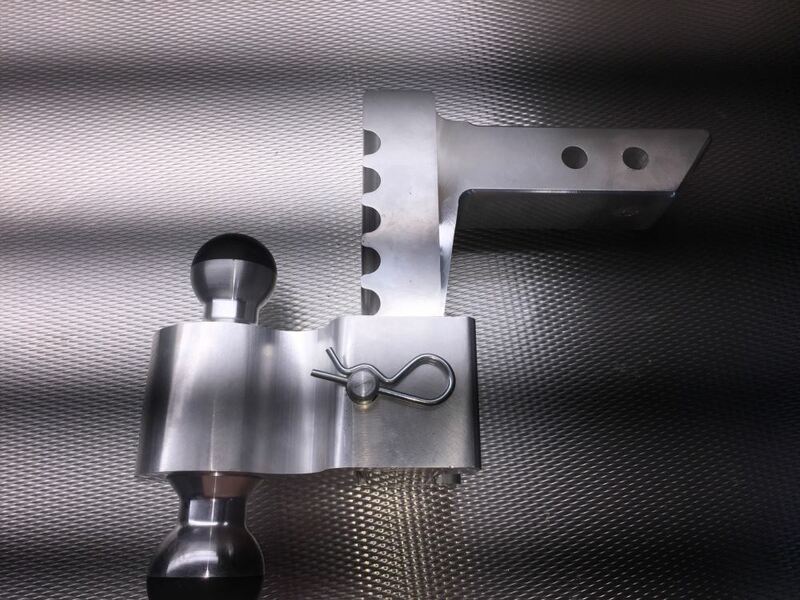 This lock is designed to fit the larger 3 inch hitch size you have so it would work well. The highest-rated 2-inch adjustable 3-ball ball mounts we offer are rated for 10K maximum. Please note that all such multi-ball ball mounts have different ratings depending on which ball is used. 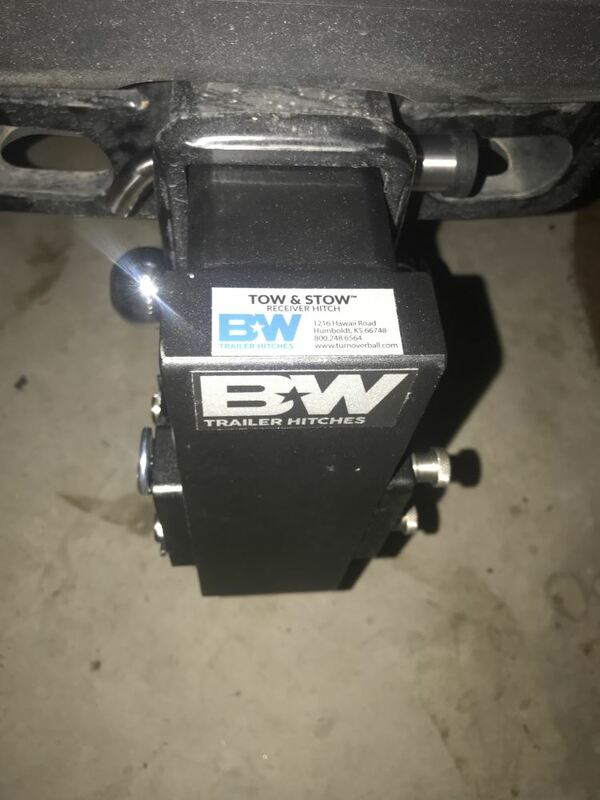 With the B&W Tow & Stow 3-Ball Mount # BWTS10050B for example you can tow up to 3,500 lbs with the 1-7/8" ball, 7,500 lbs with the 2" ball, or 10,000 lbs with the 2-5/16" ball. All 2-inch 3-ball mounts are shown on the linked page. This can be locked in a 3-inch hitch with hitch lock # WS05. The Bulldog Lifelong Trailer Hitch Lock # BD580402 is designed for 2 inch trailer hitch receivers so it will not fit on your 2017 Ford F-250 with the 3 inch receiver. For 3 inch receivers we have the Weigh Safe Lock # WS05. It has a 3-1/2 inch span and will fit 2, 2-1/2, and 3 inch receivers. 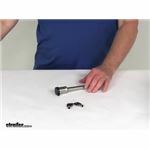 The Reducer Sleeve for Super Titan Hitch Receivers - 3" to 2" # 38735 is a much better option than using multiple sleeves. 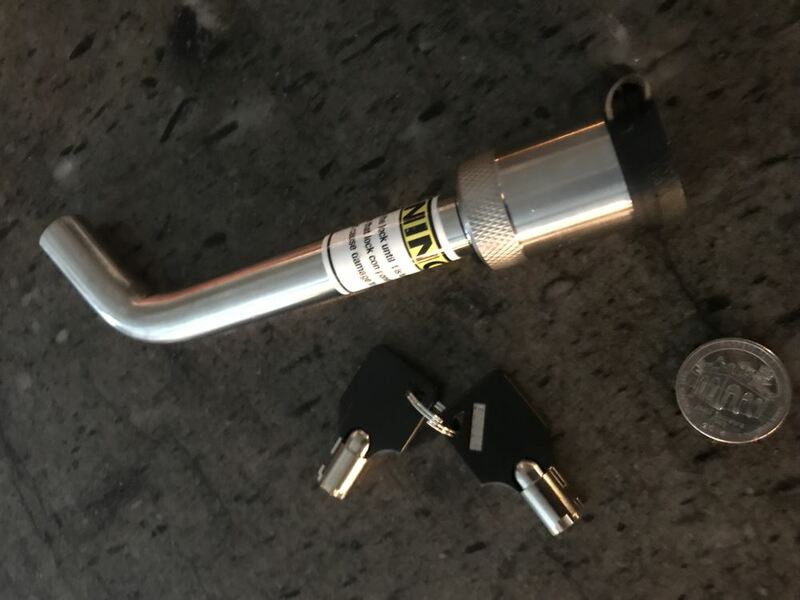 The XL Anti-Rattle Trailer Hitch Receiver Lock for 2-1/2" Hitches # SHP2040-XL has a 3.54 inch pin span that will work if the outer edges of your receiver don't exceed that. The 3 inch pins like # WS05 only have that 3-1/2 inch span, so it should work and give you the anti-rattle stabilization as well but you may need to get a longer spring for easy installation.